When I read Sir Richards Bransons book “Screw it Lets Do it” I quickly saw that he and people like him, Bill Gates for example didn’t have all the answers when they embarked on something but that didn’t stop them. They new they could get the answers and learn a long the way. My story is I used to be in Management. Several different Management Roles and I loved learning new material. I loved growing and being a better version of me to help support people to be the best that they could be but when I left the last Role I could not face Leading any more. There were several reasons I left but it was usually wrapped up in a lack of integrity on someones part, unprofessionalism, deceitfulness, lack of empathy, even cruelty. I was always like the loyal dog you kicked and came back because I was scared. Scared of how I was going to pay my bills etc. But eventually I could not suppress those feelings in my gut and the Universe conspired to get me out. Somewhere a long the way I adopted a standard that if someone asked me a question and I didn’t know the answer I would tell them, if I didn’t know I would find out the answer and get back to them or ask someone else or point them in the direction of support. I always told Trainees/Inductees questions are good. We only know what we know and the only way to know more is ask however I was in a role where it was advised to me not to admit if I didn’t know something as that would cause my Team not to have confidence and Faith in me and they wouldn’t be able to respect me. This went against everything I felt to be right for me because to pretend to know something I didn’t know would be lying and honesty is the most important quality to me. But like the loyal dog I did try to act that way and I felt sick to my stomach and found it difficult to look my Team in the eye. Another thing that made me sick to the stomach (same role) was when I went into that Role I had become a bit gobby and would speak honestly in 121 situations etc and point out when I felt it said one thing on the tin but in reality it wasn’t quite like that (to say the least) one such situation “Equality” I loved the quote about treating the Janitor and the CEO equally but I was warned when I went into the Role by a peer myself and my Team maybe treated as lesser mortals by certain members of staff and unfortunately this was the case so I pointed it out and was given lip service so I kept pointing it out because I felt it was wrong to see people treated disrespectfully and eventually I was told that myself and my Team (and I even hate using the terminology Team because we were/are all equal in my eyes) would have to accept that we would have to be a “little” subservient in our position. It was so hard looking my colleagues in the Face being told this information and I couldn’t/shouldn’t share it with them and that was the day I lost all respect for that Line Manager and I was just going through the motions from that moment on and I felt guilty because I felt I should always earn a salary for a good job done. For months I have been utilising the resources, watching and listening to the Trainings video’s to be able to be the most knowledgeable, best support system I can to anyone who approaches me for information about being Their own Boss and running Their own business and then it struck me. I was watching the videos etc but I didn’t appreciate the effect that comment of not admitting you don’t know something had on me. It was paralysing me from actually putting myself out there to truly be able to help people because that is all I want to do. Help people be the best they can be and live the life they desire and I know now the opportunity to do that is possible through this incredible business. 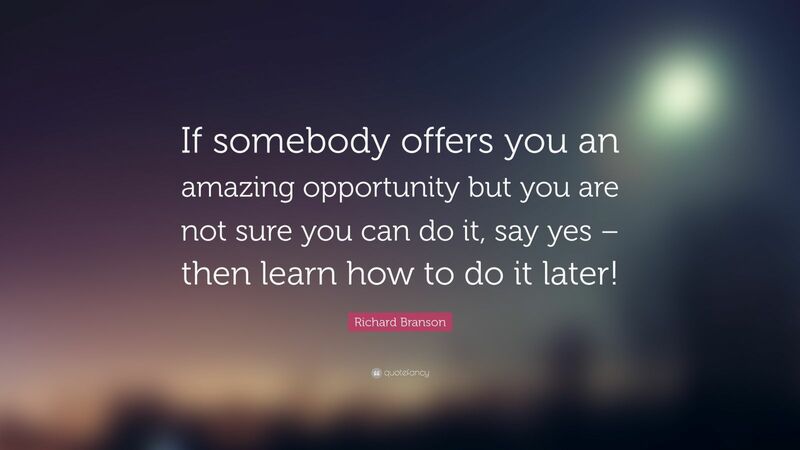 Because of this amazing network of people I am ready to help people be Their own Boss and build Their own businesses NOW because “It Is OK” to ask questions again, so if I don’t know I know I can get them the information or support they need and point them towards the right resources. I hope you, who ever you are reading this just takes the step in some shape or form to follow your passion and work the rest out on your journey and remember you are never alone.